In lilac and gold, these long earrings captivate with timeless elegance. 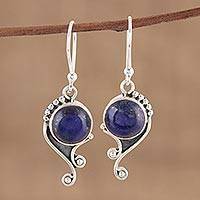 Faceted amethysts glisten on gold vermeil earrings from India's Mahavir. Approximate gemstone weight is 8 carats. 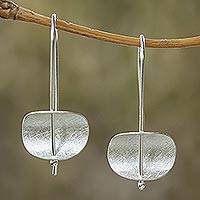 The spirit of sunrise inspires these exquisite silver earrings. By Kenari, they are set with a faceted peridot and a luminous white pearl. 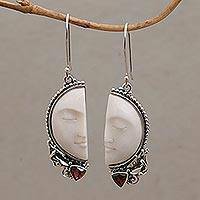 Filigree moons are captivating as earrings from Thailand. 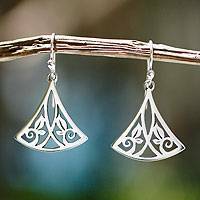 Crafted of sterling silver, the earrings are come from Thailand's Pichaya.